Last fall semester, I had an irritating experience in a class discussion. Our preceptor had asked us a question pertaining to the day's readings, and she wanted a "yes" or a "no." As it turned out, the answer (per my view, confirmed by my dad and other smarter people) was "yes, but." I tried to argue my point against my preceptor's response of "no," but she wouldn't budge. What annoyed me about that interaction is part of what troubles me about the state of opinion and politics in this country today: an utter lack of nuance. We want the answer to every question to be simple, direct and efficacious, which is a misguided expectation that alienates us from the reality that the world is complicated. We not only lack the ability to see in shades of grey, we don't even really think it matters to be able to do that. The thing is, being a Christian absolutely depends on paradox and nuance. I'll get to that point in a minute. The result is that we as a people are quick to jump to conclusions, to extrapolate from delicate situations and statements, and to take things to extremes in discourse. In doing so, both sides lose sight of any common ground they might once have shared. Opponents' languages become completely estranged--once each side holes up in their extreme position, the original issue has been distorted and each side is talking about something totally different. No wonder we don't understand each other. "After we endured the numbing body blow of 9-11, we then suffered the horrifying implosion of the economy: everybody's a little bit crazy. Everybody's scared. Nobody really knows which way to turn; we lunge, we shout, we grab onto the last vestige of what we used to cling to - so naturally we're difficult to be with, and so is the other guy." We're all a little crazy, a little scared and a lot defensive. Most recently, I've been saddened by the "conversations" surrounding the proposed Islamic community center to be built right at two blocks from Ground Zero. I already posted a blog about this controversy, but there are two aspects of the issue that I think have to do with this need for nuance. First, I'm troubled by the inability of many Americans to differentiate between the majority of the Muslim world and al-Qaeda. Part of the problem here is that there is a wealth of ignorance about the religion of Islam. Ron Ramsey likened it to a "cult," which is ridiculous seeing that 23% of the global population identifies as Muslim. Also, the Dove World Outreach Center's sponsorship of "International Burn a Koran Day" shows an appalling obliviousness to the contents of the Quran; I've commented that there are enough parallel passages between the Bible and the Quran to equate burning a Quran with burning parts of the Bible. The fact that almost one in five Americans believe that President Obama is Muslim is also troubling, not only because it's wrong and implies racism but also because I'm sure that to those people, being Muslim is a bad thing. Obama is not Muslim, but so what if he were? Again, it's this inability (or unwillingness?) to distinguish between mainstream Islam and al-Qaeda. 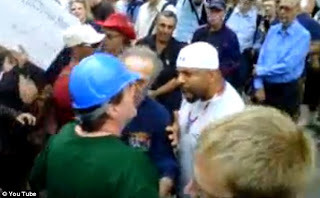 Just today, a black man in a skull cap (with, might I add, an easily visible Under Armor logo on the front) was accosted by protesters at Ground Zero, who assumed he was Muslim. See this video of the confrontation. 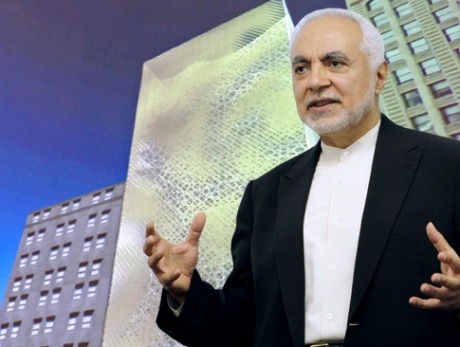 I'm also bothered by controversy that's been stirred up over the imam of the proposed mosque, Feisal Abdul Rauf. I heard a clip on NPR recently that related an outcry over comments he made shortly after 9/11. Rauf said, "I wouldn't say that the United States deserved what happened, but the United States policies were an accessory to the crime that happened." People are outraged at the implication that the blood of the 9/11 victims is not only on the hands of the terrorists but also to some extent on the hands of U.S. policy makers. Of course, the way people frame it is by saying that the imam believes we deserved the 9/11 attacks. But I'm with Rauf on this one. Concerning opposition to U.S. policy in the Muslim world, Rauf said, "It is a reaction against the policies of the US government, politically, where we espouse principles of democracy and human rights and where we ally ourselves with oppressive regimes in many of these countries." We do that. Some of the decisions we make in international relations are wrong. Some of our foreign policy lacks necessary nuance, like our unquestioning support of Israel. Why are we so surprised when people hate us? Why is it so impossible to think that we might be wrong? Why can't we look at the tragedy of 9/11 and say that although we didn't deserve it--no country or people deserves something like that--we have made decisions that contributed to the terrorists' motives? Why are we constantly running around trying to fix everyone else's problems but are unable or unwilling to admit to our own? Let me pull this back around full circle. (Warning: my brain synthesizes information like crazy, so I may have connected some dots that don't align in everyone's mind, at least not right away. Bear with me.) We need to be able to understand and utilize nuance. We need to be able to acknowledge prophetic speech about shortcomings without perceiving it as an attack. We need to be willing to learn and to listen, not to lump people into a group because of their faith or race or country of origin. We need to be able to hold ideas in tension and not succumb to the temptation to cast everything in stark terms. If we explore the Christian faith thoughtfully, we find that all of these things are demanded of us by the Bible and by church tradition. The prophets, God's messengers, rarely had complimentary things to say. Jesus is fully God and fully man. We must be in the world but not of the world. To believe and live out such things, we must be humble and discerning. We need to let go of our pride. We need to live in the unresolved tensions. We need nuance.